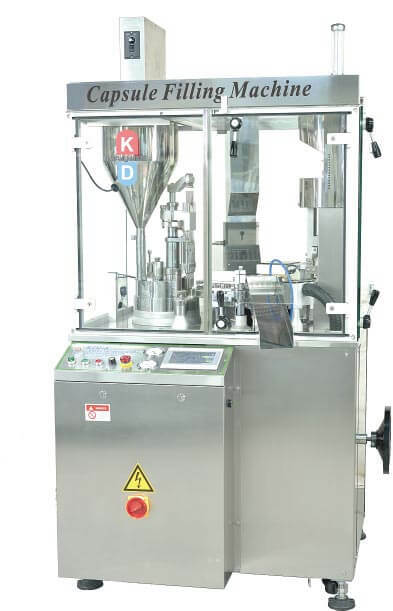 KDF-6 Capsule Filling Machine 00,0,1,2,3,4.
powder, such as non free flow powder, static flour, sticky fibroid material. The housing and surface are covered with stainless steel 304. All contact parts of medical powders are made from a corrosion resistant stainless steel 316. Parts are made by CNC computer machine. All parts are standardized and easy to substitute. Capable of filling 6 capsules at a time with operation from 10 stations. 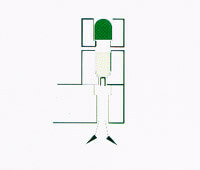 Accurate operation for orientation, opening, filling, joining and ejecting of the capsules. Compulsory spiral feeding in the powder hopper to ensure powder feeding and filling. Dual capsule-opening design to ensure all capsules are opened. Electrical impact protection device to prevent any further damage. The machine will stop automatically in the event of collision. 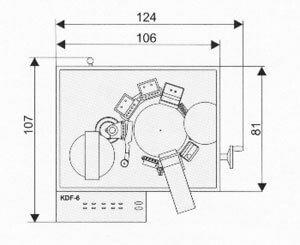 Safety Sensing System to shut the machine down automatically in the event of problems when no capsules, no powder, door is opened, and abnormal load for the machine are detected. 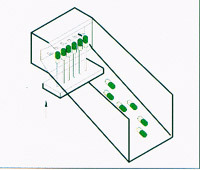 Automatic vacuum removal of the air in the dosing tube to give more accurate weitht of the filled capsules. Exclusive dosing tube system, temperature of the powder will not rise during the filling process. 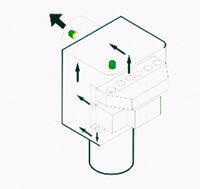 Adjustable compression piston in dosing trube to adjust the powder volume without change parts. Easy to change the molds without alignment. A person without experience can change the molds within 30 minutes. 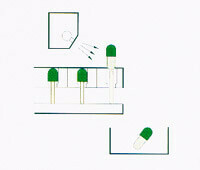 1.After capsules arranged and oriented, put capsule into the mold and open it by vacuum. 2.Open capsules once again to ensure the capsule to be opened. 3.Eject the unopened capsule and the faulty into a collection box. 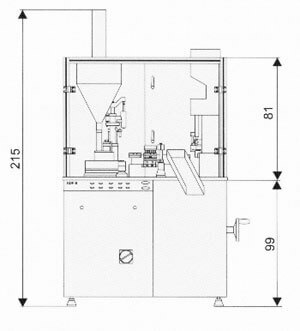 4.&5.Both Stations are reserved for pellet or granule filling(option device). 6.Put dosing tube into powder plate. The powder will be compressed into slug. Then eject the powder slug into the open capsule. 7.Reclaim the powder which not being filled into the capsules from the collector. 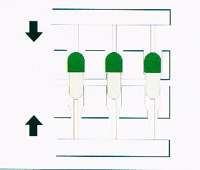 8.Join capsules together by upper and lower closing pins. 9.Eject the filled capsule into the collection container. 10.Clean the residue powder attached to cap and body mold by suction for next cycle use. High speed automatic strip packing machine. 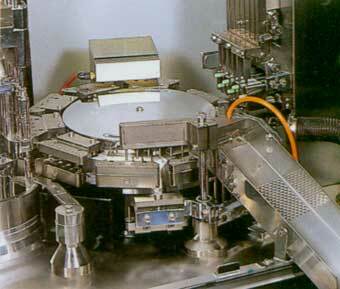 Automatic counting & capping Machine. 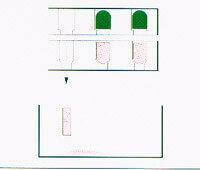 ◎ The specification, appearance and dimensions shall be subject to change without prior notice. ◎ Other KD machine series please browse our website check to detail.